Since moving to Liverpool , Salah has become one of the best attacking players in world football having netted 65 goals in 96 games for Jurgen Klopp's side. 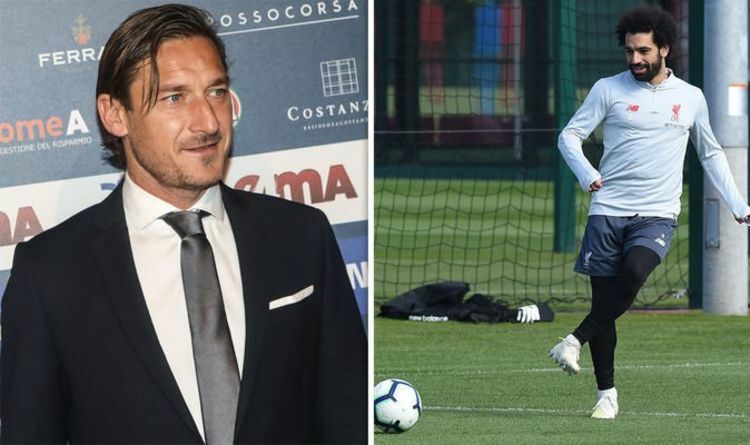 And Totti insists he is not surprised by how he has re-adapted to life in the Premier League and believes a move to a club with Liverpool's stature was always on the cards even when he was playing in Serie A.
Francesco Totti has paid tribute to former Roma team-mate Mohamed Salah (Image: GETTY)"He is an exceptional person and a true man who gave a lot to the club. Ironically, Salah was part of the Chelsea side that beat Liverpool 2-0 in 2014 that all-but ended their title challenge in a game that is remembered for seven Gerrard’s slip which allowed Demba Ba to open the scoring. Manager Klopp insists his side are not feeling the pressure ahead of what might be their biggest fixture of the season so far and says his players are raring to go. Jurgen Klopp is in positive mood ahead of the game against Chelsea (Image: GETTY)"I feelthe positiveenergy,” the German said.